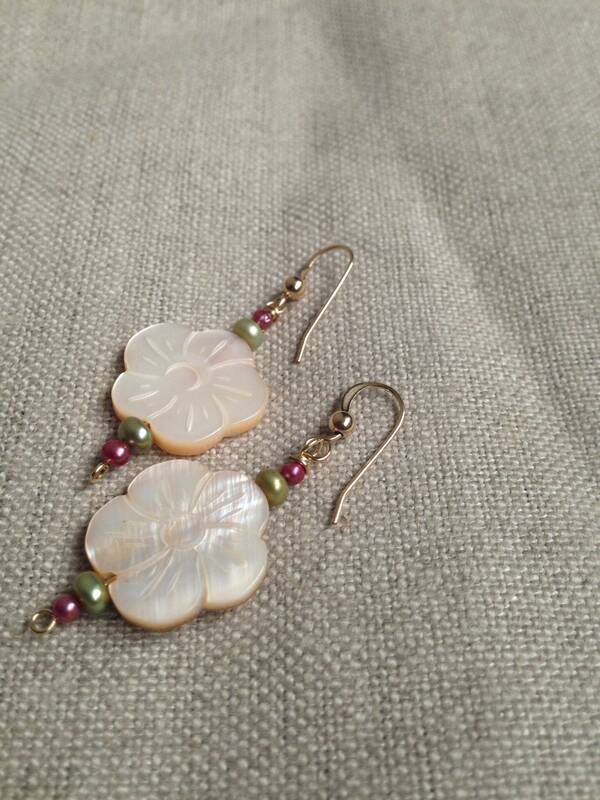 Lovely carved blush pink mother of pearl flower earrings with 14k gold filled French hooks. 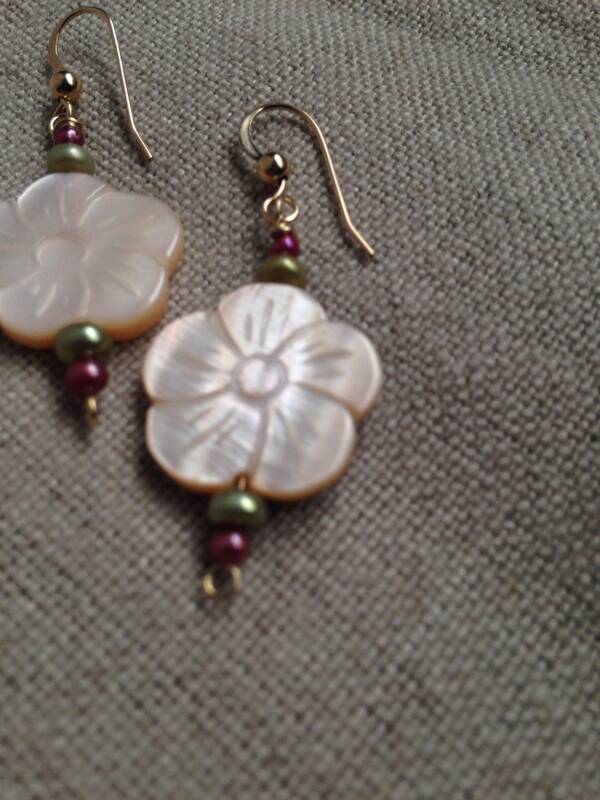 Coin sized flowers are matched with tiny dyed pearls of green and pink, to pull out the subtlety of the pink in the flower bead. 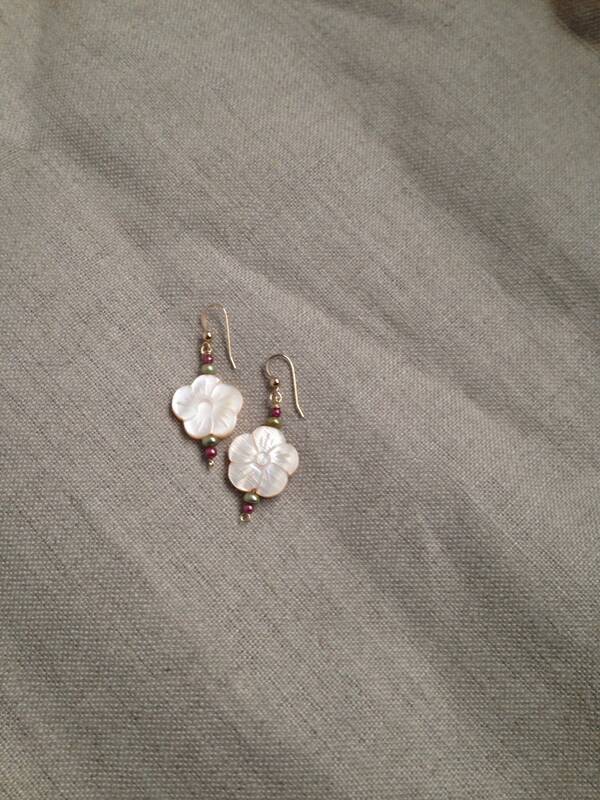 Earrings are approximately 2 inches in length. Earrings are non-refundable.